The Academic Staff Union of Universities (ASUU) and Federal Government have ended their meeting early hours of Friday, reaching fresh agreement that may lead to the suspension of the industrial action. The agreement is coming after 15 hours of marathon meeting between both parties at the Ministry of Labour and Employment, Abuja from 12pm on Thursday and ended 2:20 am on Friday. An accord was reached by the Federal Government with the striking lecturers to commence the payment of salaries shortfalls as well as the quarterly revitalisation funds for universities immediately. To this end, Union has agreed to consider the federal government’s offer and suspend their strike. However, this will come after ASUU communicate the decisions to NEC and reconvene a meeting with the government within one week with a view to calling off the strike. The National President of ASUU, Professor Biodun Ogunyemi, who spoke to journalists after the meeting, said the union would come back after one week to take its final decisions. Ogunyemi said that even though the leadership of ASUU had accepted federal government’s proposal, it would present it to its members and get back to the government in a week. Also speaking, the Minister of Education, Adamu Adamu, asserted that the striking universities lecturers’ demands had been addressed. Adamu said the next move was for the union to get back to the government in a week after consulting with its NEC members. 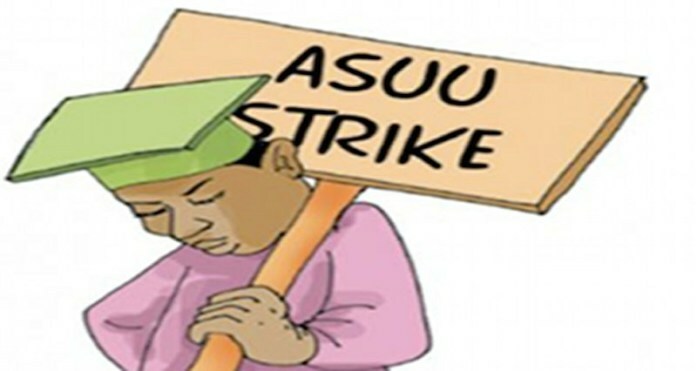 0 Response to "ASUU, FG Reach Fresh Agreement…May Suspend Strike"